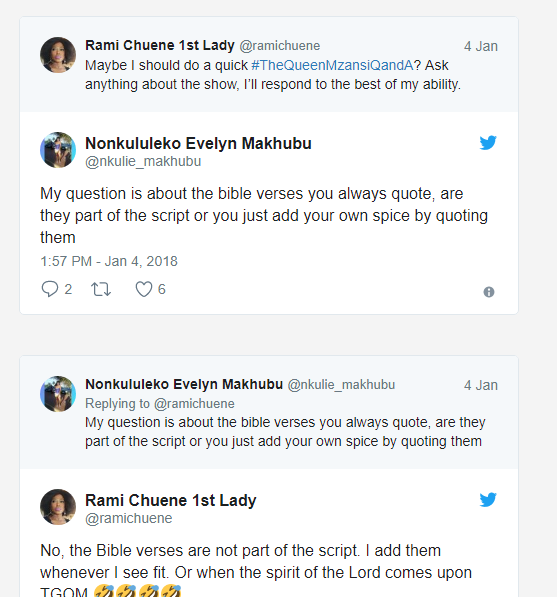 While Rami Chuene's character on The Queen has been a hit with viewers, her tendency to quote from the Bible in the popular drama has earned her criticism from some people, including a bishop she apparently knows. Although her utterances of the scriptures have raised some eyebrows before, she has mostly received praise from fans. However, Abraham Sibiya, the Archbishop Elect of The International Anglican Orthodox Episcopal Communion was not impressed and took to Facebook to slam the use 'holy' words. "I wish to express my strongest objection in the direction that The Queen has taken with the introduction of the Character of Gracious Mabuza. 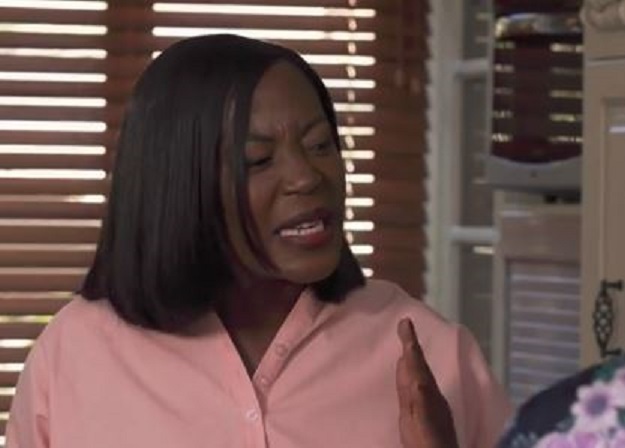 While the person Rami Chuene is a great actor and does an amazing job in portraying the character of Gracious Mabuza, the manner in which the name of God, the Bible and Christian practices are portrayed, leaves much to be desired and a bad after taste in the mouth. While it may seem that this practice adds some sensation to the story, it borders at ridiculing the name of the Lord our God." "I do not object in using the name of God in the production, since religion is an integral part of our people's daily lives, but I object to the ridiculous way it is being used. The aim comes out as if it is trying to show how ridiculous it is to hold the creed of being evangelical and of born again." The actress, plays the role of the flamboyant Gracious Mabuza aka TGOM, who is a rival of the Khoza family. TGOM occasionally quotes Bible scriptures, which she revealed earlier to a fan that she adds to her script.